Do Voice of the Customer (VoC) programs provide valuable feedback? Listening to customers is critical to understand how the experience is working in reality. We think we designed things well. Did we? 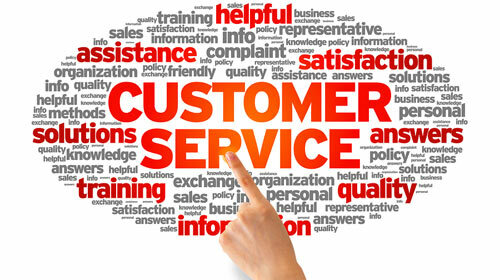 Voice of the Customer (VoC) programs provides valuable feedback. Adding some capability around text analytics can bring some insight to what customers are thinking that are difficult to understand otherwise. Although companies today are investing more resources in their voice of the customer (VoC) programs, a majority of these efforts continue to linger in the early stages of maturity. Unlike many of the less mature VoC programs, which primarily concentrate on reporting metrics from multiple-choice surveys, the more advanced VoC programs focus instead on finding valuable insights to drive business improvements. To get these valuable insights, our research shows that mature VoC programs are actively using text analytics to efficiently process their massive volumes of customer feedback. As its use becomes more widespread, we expect to see companies infuse text analytics across what we call the 6 Ds of VoC Programs: Detect, Disseminate, Diagnose, Discuss, Design, and Deploy. via Report: Text Analytics Reshapes VoC Programs | Customer Experience Matters.